Derek Jeter’s story as an athlete is the stuff of legends. He served as the beloved New York Yankees’ all-time career leader in hits, doubles, games played, stolen bases, on-base percentage, plate appearances and at-bats from his debut with the team in 1995 through his retirement in 2014. Jeter can be attributed as a major factor of the team’s five World Series Championship wins from 1996-2009. He holds the prestigious title of 14 All-Star selections, five Gold Glove Awards, five Silver Slugger Awards, two Hank Aaron Awards and a Roberto Clemente Award. Considered to be one of the greatest baseball players of all time, Jeter’s time as an athlete with the Yankees will remain cherished and admired by all—so much so that the team retired his No. 2 jersey in 2017 to pay tribute to his legacy. Players all over the world will forever look up to Jeter as an MLB legend. But while Jeter’s story as an athlete is over, his story as an owner is still being written and currently unfolding. While he exceeded countless records as a player, his new career path is one that comes with many new, unchartered challenges. However, Jeter is anything but a quitter―determination is in his blood. And he looks at his new challenge as CEO of the Miami Marlins, and the world of baseball, from a new perspective. “The thing is, when you’re on the field, you don’t really understand how much work goes on behind the scenes that you may never see. In the front office, you’re working 12 months a year—there is no off-season that exists in this position,” he explains. The number of people involved in running the front office was an aspect of baseball that Jeter was unaware of throughout his professional career as an athlete. Now, he’s awakened to a whole new world of what makes the game turn aside from the action on the field. And it’s something he wants to make his team privy to. While Jeter is faced with the daunting challenge of rebuilding a team—one that has an unfortunate losing streak, contrary to his previous team—he’s determined and hopeful for the challenge that lies ahead of him and the prospect of a new legacy he can create. Part of this new journey is the ownership group’s revitalization of Marlins Park. 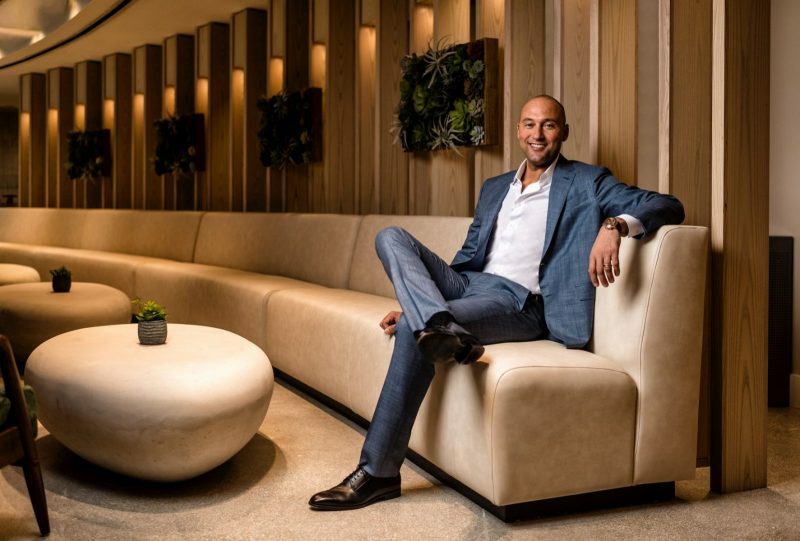 Serving as a home for the team and its fans (and certainly a home away from home for him), Jeter and his colleagues felt the needs of the Miami community wanting more—so they’ve revamped it with a new look and feel, food and beverage offerings and other cutting-edge features to bring forth an exciting new experience to the historic baseball park. Revolutionizing the branding of an established organization is never an easy one, but Jeter shares that it was a task that was a collaborative effort and something that felt right for everyone involved. The logo itself is much more modernized, using a script “M” as opposed to “Miami” in a curved, tapered serif font. The font style and colors pay homage to Miami’s rich history, drawing inspiration from the 1950s’ Havana Sugar Kings look and introducing it to the present-day Marlins. The new Marlin caricature’s body reflects an upward position, symbolizing strength, speed and legendary fighting spirit—one that the organization hopes to instill to its players and fans. In addition to the new branding, the stadium has also undergone a complete renovation to modernize the park and bring a more memorable experience to its fans, debuting The Club Presented by DEX Imaging. The Club offers fans an ultra-luxurious, first-class lounge at Marlins Park, which includes an all-encompassing hospitality experience with a special Miami vibe. 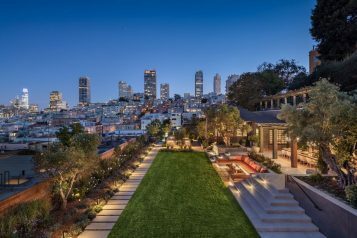 The Club features gourmet food and beverage offerings, lively music, plush seating, natural light with lush greenery and most importantly, unobstructed views of the field. There are even in-club views of the players in the batting cages. 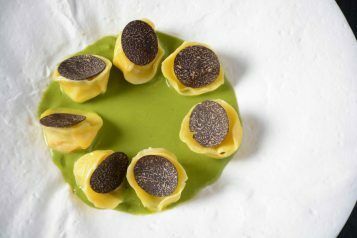 Guests can enjoy live in-club cooking demonstrations from featured chefs. Outside of The Club, the stadium also offers enhanced culinary offerings from beloved Miami vendors including Miami’s Best Pizza, Pincho, Novecento and SuViche. 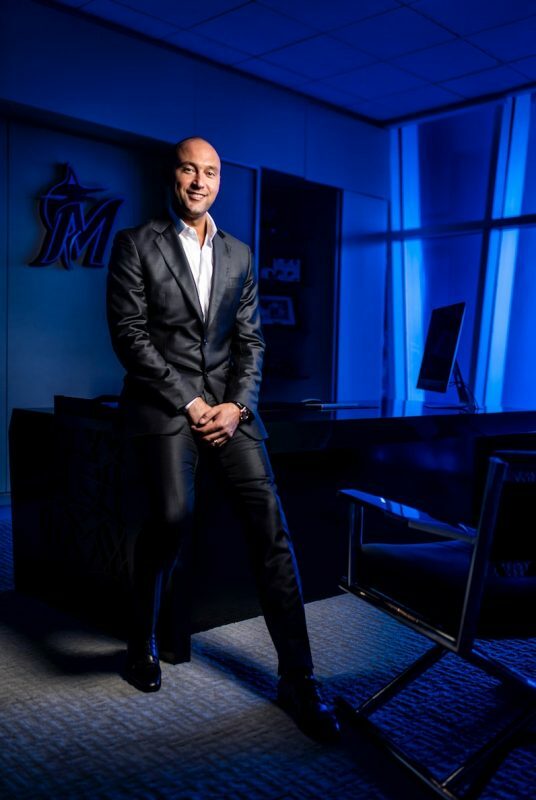 Determined to instill the same generational love for baseball in Miami, Jeter shares that he and the Marlins team have made it one of their top missions to introduce the sport to the younger generations. It’s certain that Jeter will be sharing his love of the game with his own family, as he shares that when he’s off the field, his time is spent primarily at home with his wife and daughters. With two little girls both under the age of 2, he and his wife—supermodel Hannah Jeter—have their hands full. And Hannah has more than one job—she also doubles as Derek’s personal stylist. When asked where his style inspiration comes from, he gives full credit to his fashionable other half. “My wife is in fashion, so I leave that up to her,” he shares. “So if there’s any mistake or if there’s any credit—she gets all of it,” he laughs. As Jeter poses on set of our Haute Living cover shoot, dressed in a dapper Zegna suit, it seems she’s given him a few modeling tips as well, as he evokes a natural, commanding yet humble confidence while he moves throughout different locations of park. But at the end of the day, Jeter is a simple guy with an unrivaled work ethic and a deep love for the sport. He truly eats, breathes and sleeps baseball—and is determined to find success with this new chapter of life. Although the season ahead poses challenges, he remains optimistic and patient for the years to come. Coming off a 63-98 record for the 2018 season, there’s certainly room to do better, and Jeter is realistic in the struggles that lie ahead of him in 2019 and beyond to reshape the new organization to become its best. Recalibrating from lessons learned in his time off the field on the management side, Jeter shares that the most important aspect is trust. “It’s important for me and for the Marlins organization to develop trust—to gain the trust that some things take time and don’t happen overnight. They may not even happen in a year or two years. But everything we say, and every promise we make, we intend to meet,” he asserts. If there’s a man for the job, it’s certainly the legendary Derek Jeter—after all, he was named “The Captain” for a reason. For now, let’s play ball.